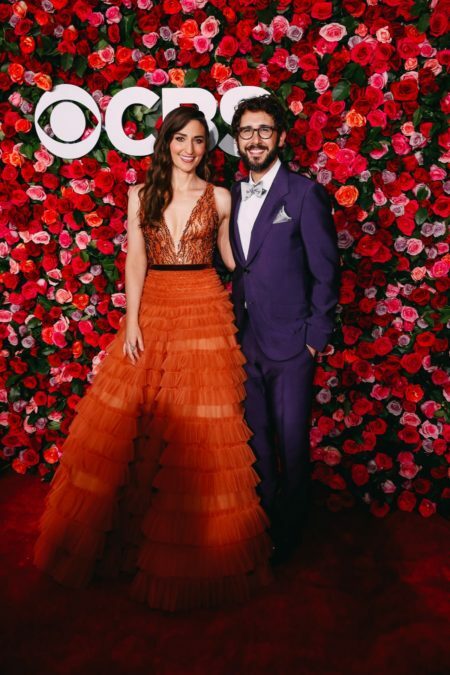 Relive the 2018 Tony Awards with Broadway.com’s Complete Coverage! The 72nd Annual Tony Awards are over, but that’s no reason to stop celebrating! Catch up on all of our Broadway.com coverage of the 2018 Tonys. The full list of the winners of the 2018 Tony Awards. From Robert De Niro's bleeped outburst to Andrew Garfield and Nathan Lane's poignant speeches, revisit the highlights and most memorable moments of the 2018 Tony Awards. From gorgeous gowns to sharp suits, we share our favorite fashion on the starry Tonys red carpet. Catch up on our glam photos of nominees, presenters, hosts and guests as they arrive at Radio City Music Hall for the 2018 Tony Awards. Step into the Winners Circle! Join Andrew Garfield, Lindsay Mendez, Tony Shalhoub and more as they accept their 2018 Tony Awards. Join Broadway's brightest as they enjoy an incredible night on the town following the Tony ceremony. From tap-happy musical numbers to emotional renditions, you voted on your favorite musical performances and this is what you chose! Check out Justin "Squigs" Robertson's colorful take on this year's Tony hosts and winners. Emotional, grateful and thankful, the 2018 Tony Award winners gave some fantastic speeches. Which ranked among our fans' favorites? Ratings for the 2018 Tony Awards saw a small bump compared to the 2017 broadcast. Once caught up on all of our features, check out our coverage of the individual winners, highlighting their acceptance speeches. From Andrew Garfield and Lindsay Mendez to Nathan Lane and Glenda Jackson and more, it was a night to remember!